Vanessa Brady Blog | The final build-up to Christmas! By the time I get to November, I am like the rest of the industry, looking at the home run. Trying to shut down projects, complete paperwork, make those final orders for the year ahead and for me, I now begin to tend to other business. Behind the scenes of every design presentation is days of work in sourcing, costing, budgeting items, collating timelines and quality checking. It is for this reason that I have a broad and reliable library of companies that when I commission them, provide me with the confidence that all will be okay, so that in turn, I am not left with a red face. As I always say, it’s not ‘if’ a problem will arise but when, and then most importantly, it is how you plan to resolve it. How a company can accept and manage these unexpected issues is what distinguishes it as a competent company built on trust and reputation, compared to one who is not. I have spent the past decade listing companies that I trust to deliver on time, as well as to meet (or exceed) the expectation they promote. In doing so, I can easily specify and feel confident all is going to be procured correctly and accredited those who step up to the challenge. 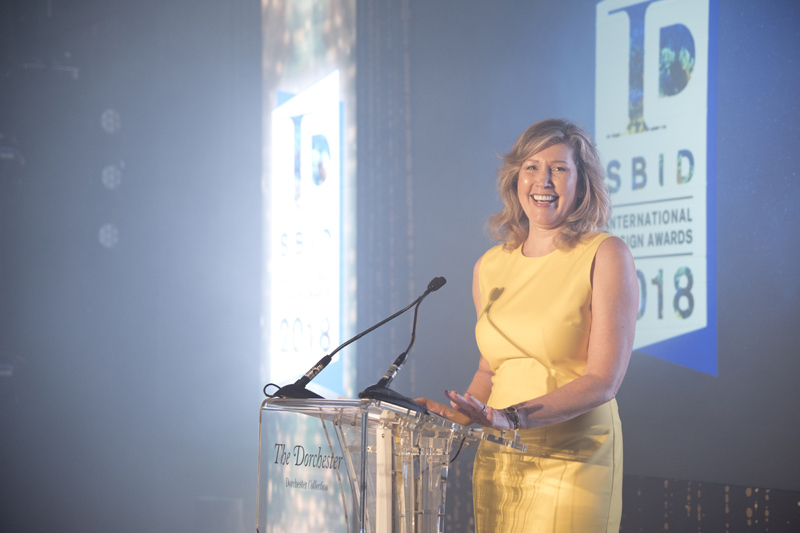 In my final build-up to Christmas, I opened the SBID International Design Awards at The Dorchester as usual on the last Friday of October (26th October) to 46 countries, all competing for fourteen crystal SBID trophies, crafted by San Souci. Each year I try to improve in everything we do, so this year I launched the Designed for Business national student design competition with philanthropist Elena Baturina. In its inaugural year, we received entries from 97 universities across 132 courses, competing for £1,000 prize for each of the five creative categories and one overall winner prize to receive £30,000. The ceremony will be held at the House of Commons for 200 guests on Thursday 29th November. It is the last presentation for this year and I can say that I honestly could not be more pleased to be able to end on such an inspirational high as to help a young, qualified creatives into business or at very least, get them ready to embark on their prosperous journey into the commercial world of business and employment within the creative design industry. Previous Previous post: The Brexit Vote, now what happens! Next Next post: With every threat, an opportunity arises!